There are a few important milestones that parents are eager for their babies to do, like starting crawling, learning to stand on their own, taking their first steps etc. While seeing my son grow, I remember being anxious and waiting for him to start talking. I used to look forward to his first word. Many kids start talking at the early age and some kids take a little more time to start talking. 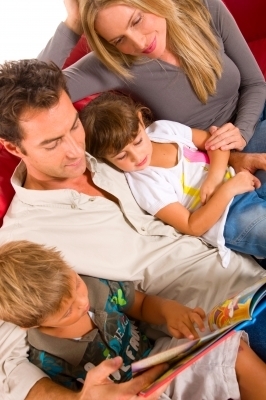 Parents play an important role in their kid’s speech development and language skills. The more you talk and encourage your kids to talk, the more they will be motivated to talk. This helps to build a strong foundation at the onset. The kids try and imitate you and repeat by pronouncing the words you teach them. They are generally very quick at grasping the lip movements at their early stage. Listen to them, just not hear them. When your kids talk, listen to the word they are saying and then help them build a sentence with the word they just spoke. This concept is called as ‘language expansion’ and helps the baby to learn frame the sentence. For example, if they say ’apple’, give them an apple and say, "would you like this red coloured apple?" Talk while you play- Talk as much as you can while playing. Pick up the toys of their choice and teach them colours, shapes while playing and ask them to repeat it. By doing this, they will learn while having fun. Try to engage the child by asking questions while explaining things to them. Introduce new words to them. Bed time stories. Bed time stories really help the children to build speech and encourage them to frame their own imaginative stories. I used to tell my son to give me a topic of the story which he wants to listen, -for example 'The Cow and the Goat'. I used to make an interesting story out of that. Over a period of time, my son began to start narrating his own imaginative stories. Choose your words carefully. Avoid negative words and refrain from constantly criticising your kids. It may impact their confidence and would lead them to pull back. Always try to be polite with them and use positive words. Encourage social interaction. Mingling with different people encourages your kids to get more social and indirectly talk more. Rather than spending their time watching TV or playing their video games, we must encourage them to go out and interact more with their friends and relatives. Recap of their day’s activities. When your kid is back from their school, it's a good idea to ask them what they did at school, throughout the day. Kids are generally happy to share their achievements and the happy moments. Using picture books. Another way to get kids to be imaginative and encourage them to talk would be to show them some pictures and asking them to describe it. The picture books can be picked up from a neighbouring library. Good speech helps children to connect more with their friends. It also helps them in making them more confident and face the world more positively. Have you ever been to Melbourne Star Docklands?